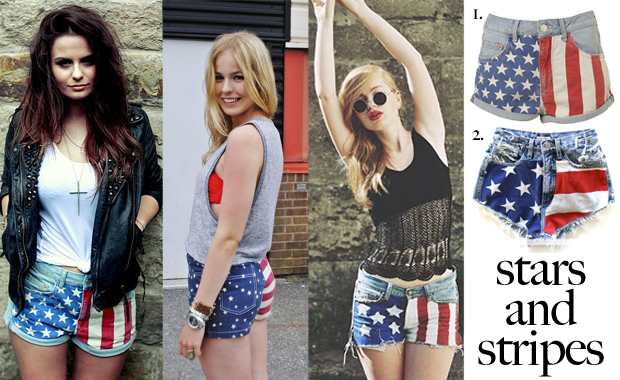 Here’s a trend moving through the fashion blogosphere that’s perfect for summer barbecues and the upcoming Fourth of July: American Flag decorated shorts. Not your everyday look, but printed and textured shorts have been all-the-rage lately, from floral and tribal prints to lace and crochet versions, and this is a new take on your classic cutoffs. They would also make for a great DIY project! What do you think of trend? Not a fan of wearing your patriotism, or is it something you’d rock?